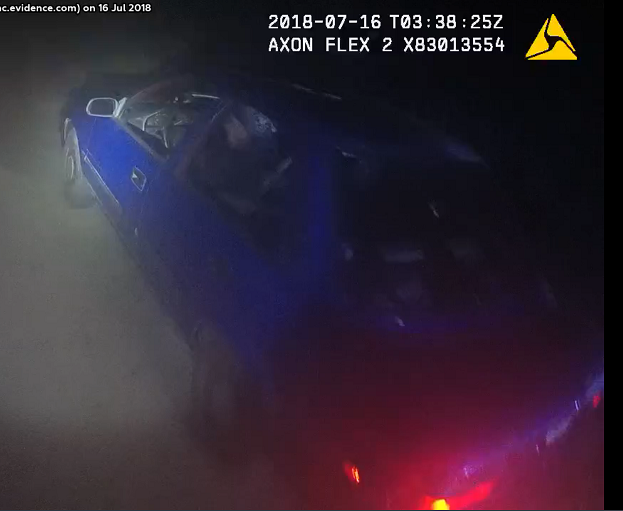 The Caldwell County Sheriff’s Office has released photos of the suspect car during a traffic stop last night where a deputy was shot. 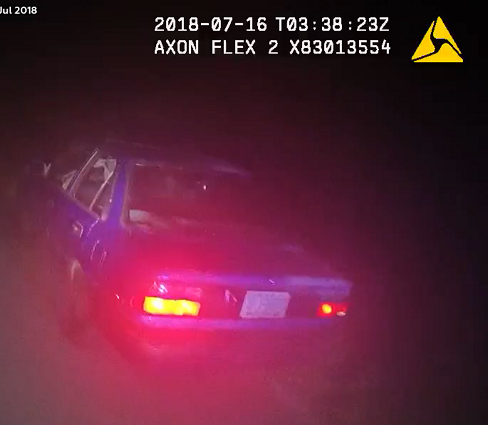 Anyone recognizing the early 1990’s model, blue, four-door Toyota Corolla with North Carolina License Plate AFJ-5570, is asked to contact the Caldwell County Sheriff’s Office at 828-758-2324. Crimestoppers will pay up to $1000 for information leading to an arrest in the shooting. The car was involved in a traffic stop around 11:30 p.m. on Cheraw Road near the intersection with Pisgah Church Road. Reportedly as the deputy approached the car, he was shot. The deputy, whose name is not being released at this time, was wearing a protective vest at the time but was hit below the vest. He was flown by helicopter to Carolinas Medical Center in Charlotte where he underwent surgery and is listed in stable condition.